As a charity, we rely entirely on the kindness of members of the public. We receive no external funding other than what gets donated to the shelter, whether that is money, things for us to sell in our shop, or food for the animals in our care. We have several supermarket donation bins around Manchester. These donation bins are an invaluable source and are emptied on a weekly basis. You can donate anything in these bins, from cat food to cat toys to cleaning products. As well as donating things via our supermarket donation bins, you can also bring donations directly to our shelter between 12 and 3 everyday, or drop things off at our charity shop on Oldham Road, OL7 9AN. We also have an Amazon Wishlist, which is regularly updated depending on our current needs. Ordering items from our Amazon Wishlist is easy as the food gets delivered straight to the shelter! You can access our Amazon Wishlist through the link on your right. 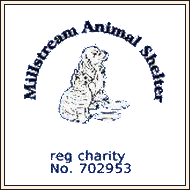 If you are in a position to help us financially, you can donate to us by filling out a standing order form, which are available at the shelter. Alternatively, you can donate to our Just Giving page, which you will find the link to on your right. We also have a text code: Text CATS16 and your amount to 70070 to donate via JustGivingText. No matter how big or small your donation, we are deeply appreciative to those who can spare some money to help us help our cats. We would like to take this opportunity to thank everyone for their ongoing support!